The Museum is located in a two-storey renovated building, containing about 300 metres of charming areas for the exposition. 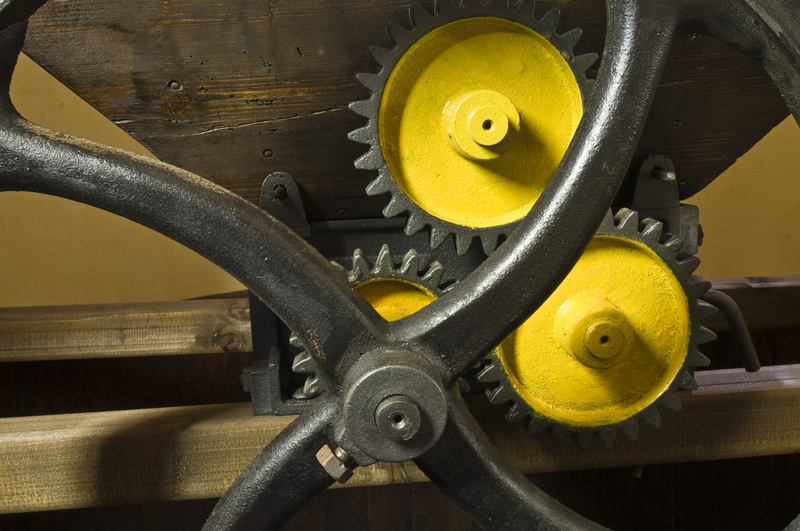 History itself is the main character here, where old carts, carriages, tools and utensils have kept the rhythm, told time, used methods of production and processed agricultural commodities during the past centuries. Agriculture has been the main source of wealth for our territory since the Roman times, when the wonders of this place, then called “Balbia”, were written about by Pliny the Elder and Ippia Reggino, above all boasting about its wines and rare mines of rock salt. The exhibition, set up a few years ago but constantly growing, is the synthesis of an accurate and passionate labour of love through historical research and patient collecting of rare items. There are dozens and dozens of objects of the strangest and most curious kinds, and today we find difficult to guess what their utility was. These are all linked, not only to agricultural activities, but to the more general concept of rural and traditional culture. That culture, that modern civilization of well-being and consumption has almost totally erased in a few decades, both from our memory, our children’s memory and from our everyday lives. 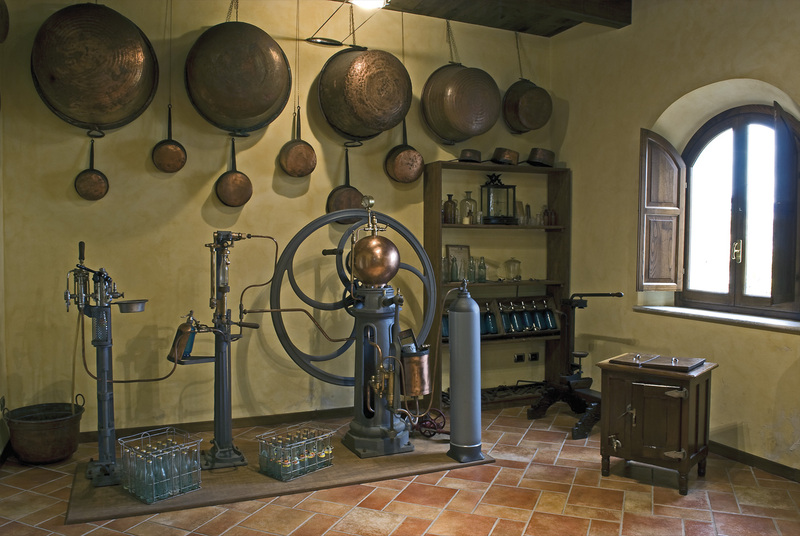 These objects demonstrate the skills and craftsmanship of the past, the wisdom in creating objects made by craftsmen such as carpenters, blacksmiths, shoemakers, potters, tailors, etc. Nowadays it’s almost impossible to find these items. A large group of objects were owned by the family, but there are many that were literally recovered from landfills and warehouses. They show our heritage and an ancient way of life, although destined to oblivion. Some objects were donated or made available by individuals who spontaneously wanted to collaborate in safeguarding and passing on past memories to the future generations. 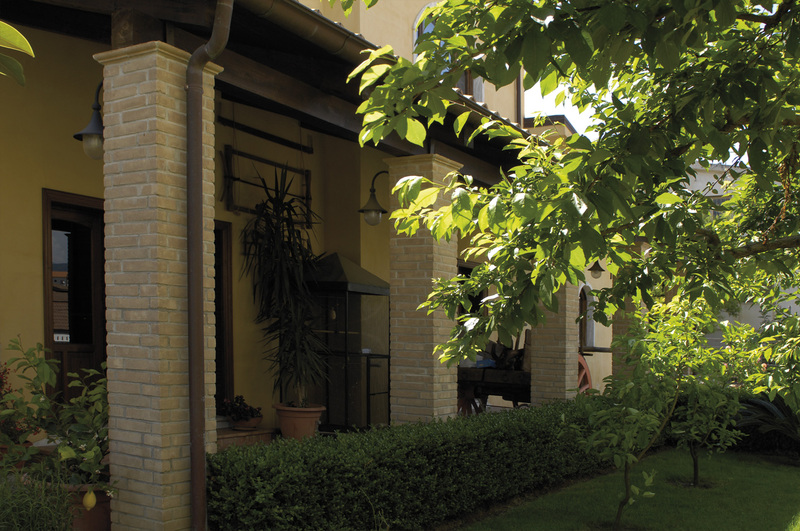 A very particular section of the museum holds important documents recovered from the family’s heritage and other sources, certifying the past activity of the Giacobini company, from which everything started many years ago. 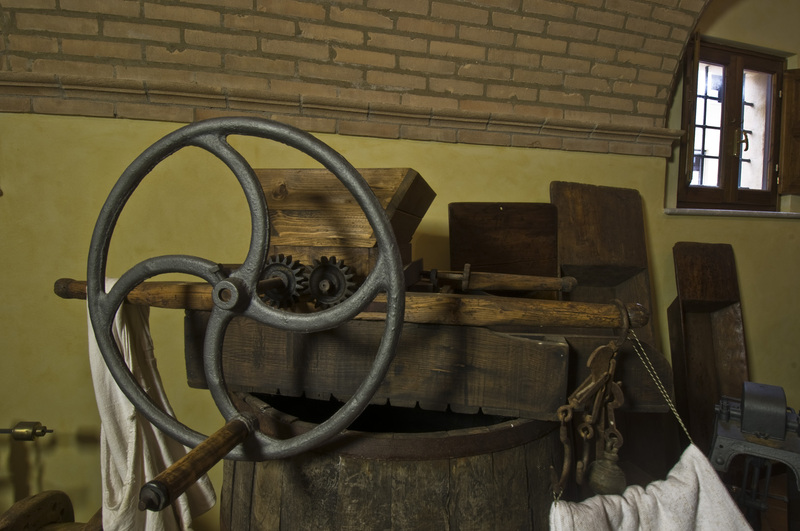 As for the oenological sector, in addition to the numerous certificates attesting the high quality of the liqueurs, there are some particularly rare and precious objects, such as a gas machine from the late 1800s, an ancient wooden grape crusher, and a rare example of a wood and iron press also from the nineteenth century. 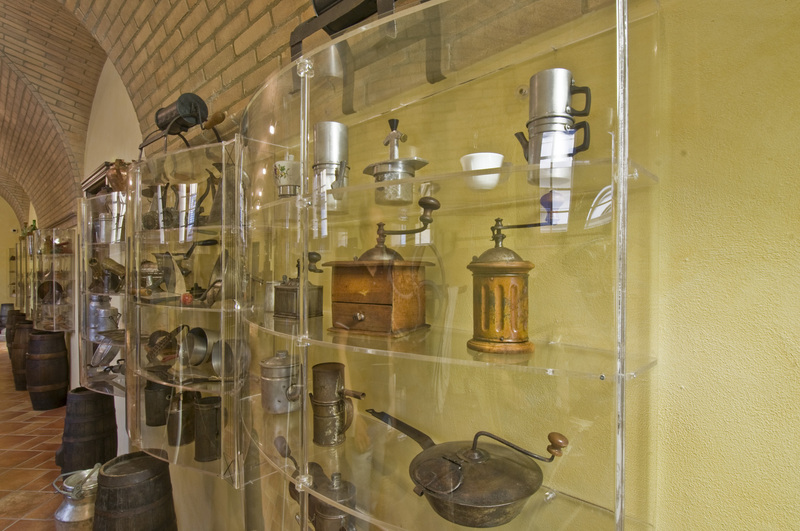 Another section of the museum includes many work tools once belonging to artisans and peasants, also furniture and furnishings from houses of the past, traditional ceramics, clothing and a rare transport wagon, the “LORRY” of the past !! 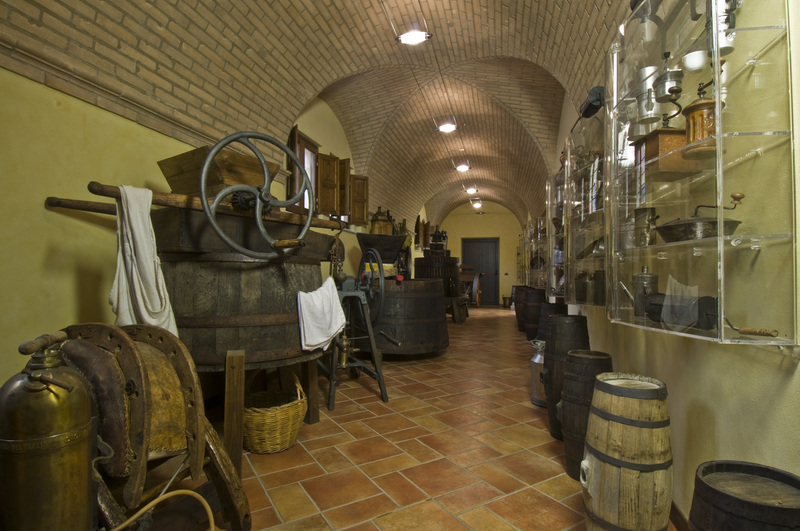 In addition to having areas for liquor tasting and the purchase of our products, in other rooms of the building the museum offers ways to contact associations and other institutions for the development of non-profit activities to promote the territory and the related cultural events aimed at the protection and diffusion of knowledge and conservation of the agro-food and rural traditions of Altomonte and of the large area of ​​the Pollino Mountains, the Sibaritide and the Crati Valley. The museum is open every day from 9.30 to 12.30 a.m. and from 3.00 to 1.00 p.m. Reservations are recommended for guided tours for school trips and other groups. For info please call 338879024 or fill the form below.